Liz Wetzel, director of Buick Interior Design. Courtesy GM. From Liz Wetzel’s history, you could say a passion for cars, literally, runs in her blood. As the fourth generation of her family with a career in the automotive industry, Wetzel was born and raised in Detroit. After attending the College for Creative Studies in Detroit, she began her career in GM’s Advanced Vehicle Engineering department. Soon after, she moved into design and became the company’s first female vehicle chief designer in 1997. 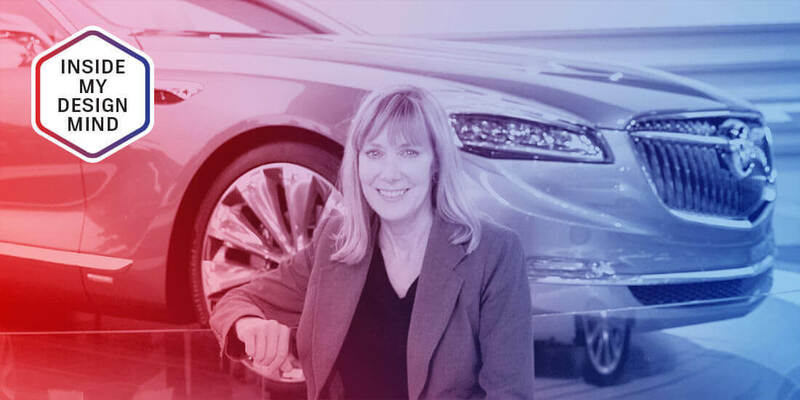 She has been at GM her entire career and is currently the director of Buick Interior Design, overseeing the design of the new Buick Avenir. Here, Wetzel shares her insights, inspirations, and what the automotive industry continues to overlook—and needs to talk about more—with regard to design. Design is more than skin deep. To embrace design is to be a problem solver in your approach to customer needs, product innovation, and process improvements. Innovation and creativity are essential for brand relevance. Unleashing creativity in the design studio is a catalyst for fresh thinking and solutions. My passion and design philosophy is to create products that connect with our customers on an emotional level by being visually attractive, refined, intuitive, and easy to use. What segment of the automotive industry do you feel needs the most attention to solve major design issues? One of the most important facets of our business that not enough people talk about is the importance of sculpting. As an industry, we focus on designers sometimes, but at Buick, whose design language is all about sculptural beauty, a great surfacing team is essential. So sculpting—both digital and clay—is a quiet side of this business not talked about enough. How do you and your team approach design to discover and create an incredible—and maybe unexpected—experience? What are the ways you connect to drivers or have “test-drives” of design options? Our focus begins with an intimate understanding of our customers’ tastes and preferences, and their use of the interior and technology. We do this in a number of ways, internally and externally, including trend forecasting, lifestyle and consumer product research, and talking with customers one-on-one and in a group setting. Our design process requires a balance of acumen, discernment, and vision. What are your most recent projects, and what have you learned from them? 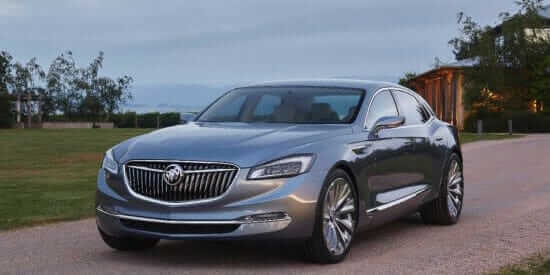 We kicked off the new year in a big way with the unveiling of the Buick Avenir flagship concept car at the North American International Auto Show. The collaboration we enjoyed with our design colleagues in Australia for the interior of the Avenir concept was great. Approximately 10,000 miles and 16 time zones separated the Melbourne and Detroit-area studios. Designers shared renderings and communicated via live conference without ever having to make a single trip. Once the North America team created the data and turned it over to the Australia team, it was obvious they could refine it to the next level and execute it. They did a fabulous job, and the result is fantastic. What’s your “must-have” tool, technology, or gadget? My iPhone is my “must-have” tool. It’s my calendar, camera, and connection to my team and family. How do you know when a design is done? Or is it ever? A design is done when the time is up, and you have refined it to a level of excellence. Who (or what) inspires you most and why? I am an avid runner and hiker. Being able to get outdoors and enjoy the beauty of nature on a trail is a great way to clear my mind and prepare for the day ahead. Where is the best place for you to work? For me, the best place to work is in the Buick studios. Holt Ware (Buick’s Exterior Design director) and I are committed to fostering an environment of trust and empowerment so that creativity and innovation can thrive. We have an incredibly talented team that is united around the opportunity to lead with great design and help shape the long-term vision of the Buick brand. Redshift’s “Inside My Design Mind” series explores the personal insights from leading designers across industries.